Patra's Other Place: Kitchen still not finished, but will be soon. Cliff rang today regarding finishing off the kitchen. He was going to do it tomorrow, but he said he has another job where the clients are putting pressure on him to finish it by the end of the week. He sounded harrassed, the poor guy, and I do know how busy he is, having been to his factory and seen the works in progress. He does mostly commercial work with a few residential jobs like mine thrown in the mix when he has the time. He said he had everything in the factory to finish our kitchen - the glass splashback and other bits and pieces, and asked if it was okay for him to come out next Saturday to finish it up. I said of course it is okay, and told him that he should perhaps take the day off and spend it with his family - I don't mind waiting a bit longer, seeing he hasn't asked for any payment yet, and I have a fully functional kitchen! But he said no, he would be here on Saturday unless something else crops up to delay him. In the meantime we have two painters coming this week to give us a quote on painting the ceiling and what's left of the walls to paint, as well as the window frames. One of our neighbours was putting rubbish out on the nature strip today, and I went over to say hi, as she travels a lot and we don't see much of each other. I told her about the kitchen and she came over for a look - she was impressed! While I haven't used the dishwasher much (three times so far), I just love the gas cooktop. 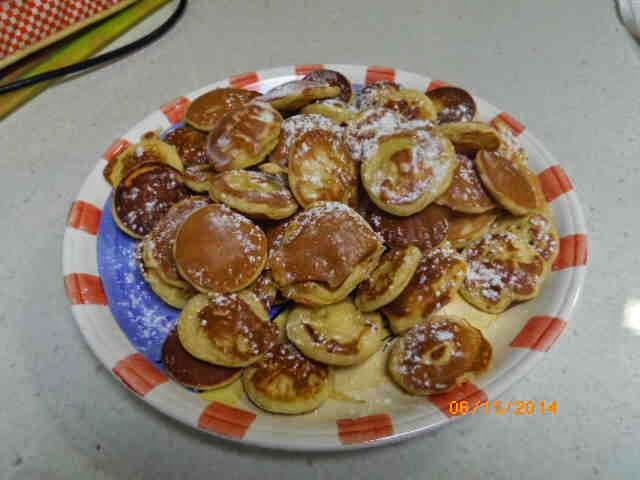 Today I made those little Dutch pancakes "Proffertjes" and they were delicious! Ken bought me the special Proffertjes pan a few years ago and as it cost about $90, he was always on my back about using it. But as I explained to him, some things are not possible to use successfully on an electric hot plate, and this was one of them. 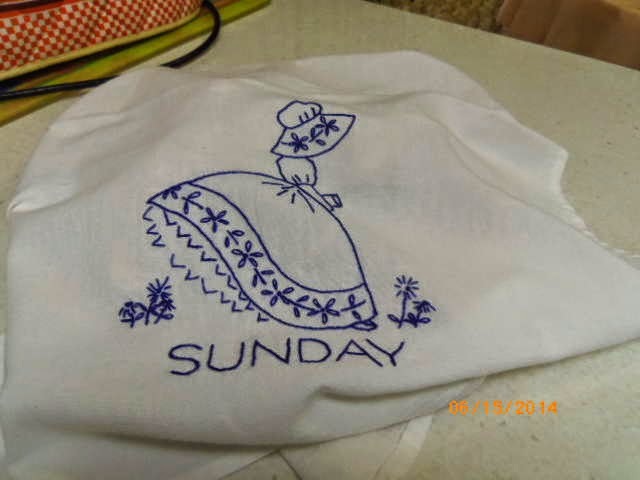 But today - whoo hoo - success! wow they look so dainty and cute. I remember having them at a fair, served with whipped cream. Gas is so much better than hot plates, i wish we had it here! 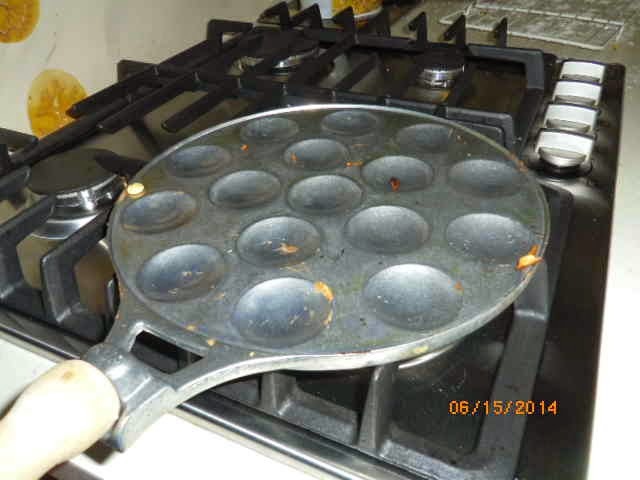 wonder what else you could use that pan for...little burgers?